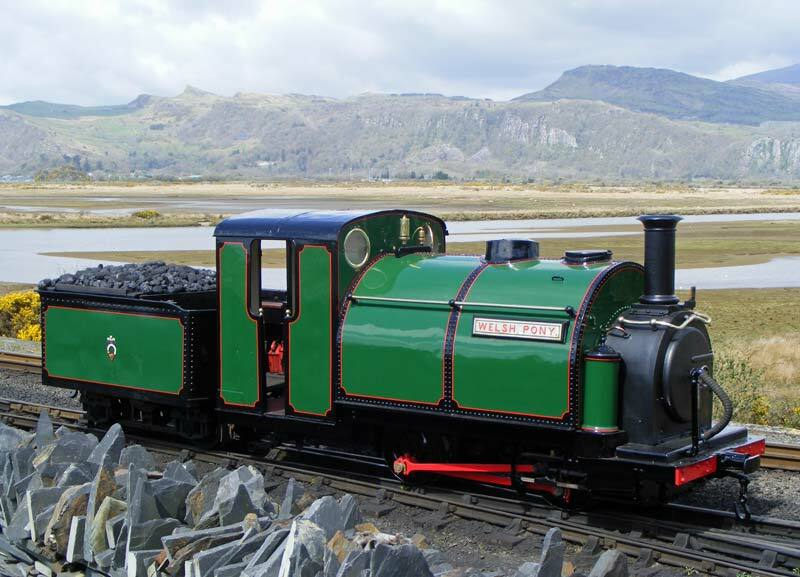 Welsh Pony is the 5th locomotive built for the FR and the first of the ‘Large Englands‘. 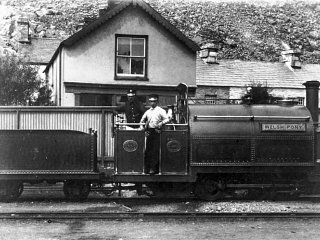 The loco, (works number 234) was built and delivered in 1867. She entered service in June 1867. Records show it was retubed in 1873 and broke an axle in 1875. Brass piston rings were tried but they needed replacing often and so were changed for cast iron ones. In 1878 it derailed at Duffws but the damage was slight. By 1879 it had been fitted with a lubricator. In 1880 it had a major overhaul. 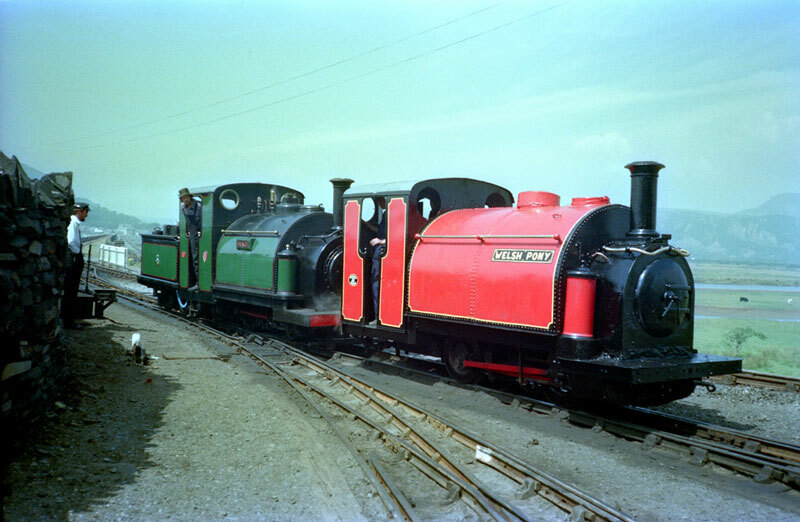 132 tubes were replaced with steel tubes, the firebox was removed and refitted (148 copper stays), two whistles were fitted and a braked shunting engine tender No 2 was built. New sandpots were fitted in 1883. In 1887 it was fitted with a Wilson’s lubricator (i.e. mounted on the cabsheet) and its mileage was quoted as 281,700. The boiler and tank were now wearing out, the tank being patched in 1887 and 1888 and the working pressure being 120lbs by 1889. Work started before it came out of service, new frames were being worked on when it was withdrawn on 23rd September 1890. It re-emerged on 29th May 1891. A new steel boiler from The Vulcan Foundry, with Everetts red metal tubes. 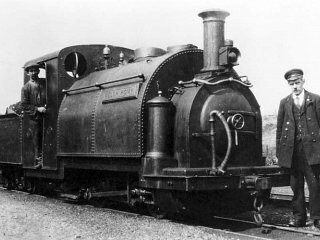 It had a full cab and the tank, smokebox, cylinders and frames were all new. In October 1891 a new tender No.5 was completed for the loco (wooden framed). A vacuum brake was fitted to the loco in May 1893. 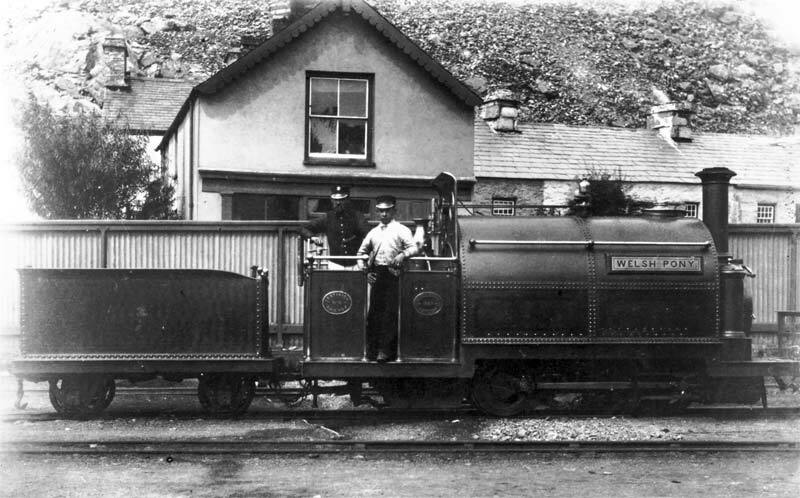 In November 1895 it came off the line at Festiniog but with minor damage. In 1899 the first two tubes had to be removed and the holes left were plugged with brass plugs. In December 1900 a number of ‘red metal’ tubes burst and 68 were replaced with some taken out of Livingston Thompson. In August 1901 another tube burst so in September the engine was retubed with brass tubes. The smoke box was replaced in 1903 and major firebox work was carried out (64 copper stays) and a cylinder was replaced in 1904. Fire box repairs were carried out often after that. In October 1907 it came off the line at Minffordd sidings and fell into the standard gauge lines. It took 3 hours to get it back on FR metals. By 1908 the boiler pressure was down to 125lbs. It soldiered on until 1910 when it had a last thorough repair of the firebox. 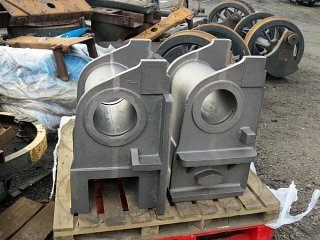 At this time the balance weights were moved fully to the front footplate and made to their final dimensions. Records show it operating until at least September 1911. 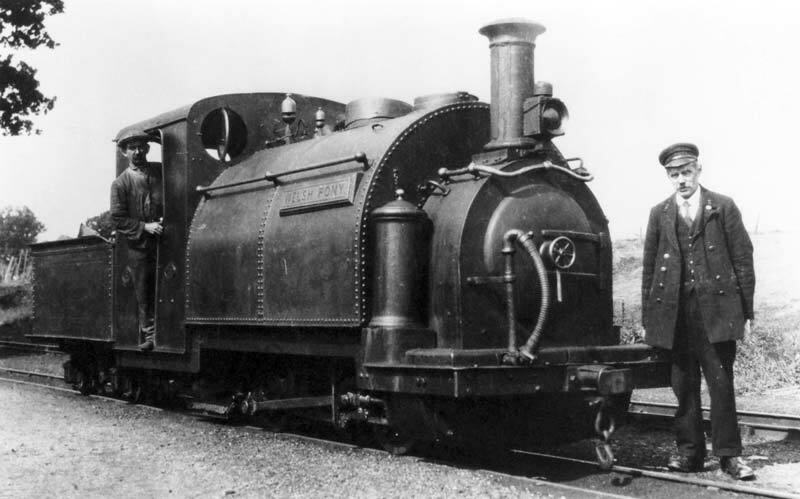 In October 1911 the tender for a new boiler was accepted from Daniel Adamson & Co. In September 1912 Prince is recorded as receiving Welsh Pony’s smokebox and so Welsh Pony can be assumed to be out of traffic. The locomotive was rebuilt again in 1915 with a new boiler. The outward signs being the pronounced dome cover and the Double Fairlie style brass smokebox handrail (which it retains to this day). The engine had a wooden framed tender in the 1920s but this was damaged in an accident at Boston Lodge. The replacement came from Little Giant which had been dismantled at the time. This was a steel framed tender and this currently belongs to Linda. It was in the works for much of 1929, some boiler work being carried out at the Avonside Engine Co. It was re-tubed with steel tubes in 1932 but this was not a success and it was retubed again in 1934 together with more firebox work. It was painted ‘sea blue’, according to Boyd, in the early 1930s, but deteriorated and was later painted in an all-over darker livery, quoted as green. In June 1937 after the boiler inspector cited signs of leakage at several stay heads and tube ends in the firebox. He recommended drill testing the firebox tubeplate, re-tubing the boiler and giving it a hydraulic test before being put into service again. Work was done and it was back in service in August 1938 and was running up to at least September 1939. In the rebuild of Prince in 1955 the spectacle plates from Welsh Pony were used. The locomotive visited Birmingham Model Railway Exhibition in 1963, but otherwise lay out of use at Boston Lodge until the early 1980s. It was cleaned up and painted red for display outside the goods shed at Harbour Station, sporting dual language nameplates (WELSH PONY/ MERLEN GYMREIG), and in March 1985, it was moved to a plinth at the entrance to the Harbour Station car park. It remained there until March 2002, when it was removed in need of a little TLC. In 2005, the wood-framed tender displayed with this locomotive, which had originally been used with Princess, was rebuilt with a new oak frame. It is now the last tender with the vacuum brake gear still intact. A few days before the Gala the loco was painted in Darjeeling blue to wind people up and get people talking about the engine. (both loco and tender were painted in blue with a black top to the tank and cab front, as on Prince in 1980). Welsh Pony was then placed in store at Glan y Pwll. The first step was to draw up and agree a conservation plan for the locomotive prior to carrying out an in-depth look at the loco to ascertain exactly what can be reused and to estimate the cost of its restoration. 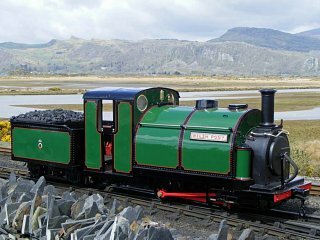 From 2002 the locomotive has been stored at Glan y Pwll with visits to Boston Lodge in 2005 for the 50th gala and in 2010 for the Quirks & Curiosities event. In December 2012, Welsh Pony was returned to Boston Lodge for an opportunity to reunite the four surviving Englands at Boston Lodge for the first time in many years and has been cosmetically restored to a green livery. 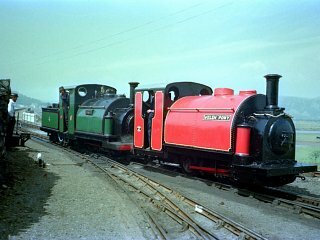 Welsh Pony now boasts its own Facebook page containing information and a collection of photographs of the loco over the years. The current cylinder dimensions are: 8.5″ dia x 12″ stroke and the wheels are 2ft 2ins diameter. See the historical gallery here. Welsh Pony’s own website may be found here.